Most of us at some point have been approached by an insurance agent. If you recall the experience, your first impulse might have been to flee, or you might have been wishing you were somewhere else. Things were no different for Divya Tusnial when she started out as an insurance advisor. She used to make cold calls, find it hard to get an opportunity to explain her products, people would keep deferring her requests for a meeting, they would be averse to providing her with a clear-cut answer, and so on. But there was something in her that told her to continue nevertheless, and today the rewards of those initial days of rejections, hardships and perseverance have far exceeded her expectations, bringing her success, adulation and international recognition. True enough, life insurance advisory is one of those professions that offer the advantage of flexible timing. Moreover, as Tusnial points out, it can be gratifying too since one can make a genuine difference to people’s lives. “Every day, life insurance advisors provide invaluable advice to their customers, helping them protect their dreams and those of their families,” she says. 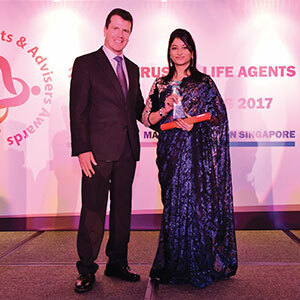 A supremely successful insurance agent today, with a stellar performance and prestigious awards to show for it, Divya Tusnial is happy; but way back in 2009, when she had just started her career, things were much different. A total stranger to the industry, initially she was not comfortable with the corporate world. But all that changed gradually, thanks to Tata AIA’s efficient training programmes. Starting with a small list of unknown clients in Kolkata, she began to hone her selling and customer service skills, and then, combining her efforts with sincere follow-ups and the desire to do her best, she was able to ultimately make a dent. By and by she started getting referrals and gradually the number of her customers began to grow. Given that many women customers tend to feel more comfortable dealing with women advisors, it provided a further fillip to her by opening up a relatively untapped segment. 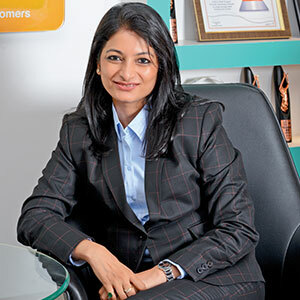 But irrespective of gender, Divya makes it a point to address all her clients’ queries and needs with due diligence. A thoroughly disciplined and professional worker now, to achieve maximum efficiency she remains organised; maintains a structured work schedule, attending to clients during normal business hours; and limits distractions from friends, external factors and even family during working hours, unless there is an emergency. Asked about her success mantras, she says she makes it a point to remain disciplined and driven by a sense of purpose; set goals for herself and achieve them; train the mind to be the best (her reasoning being, if you train your mind that you will become successful, it will make you do it); have strong convictions and be fearless, especially when it comes to pitching for higher premiums from clients. An average working day sees her reaching office before 9:30 am (including Saturdays), meeting clients/prospects, addressing their needs, attending meetings, interacting with co-workers, returning calls, etc. All this, needless to say, has brought rich rewards and today Divya Tusnial boasts exceptional performance with five MDRTs, one COT and three TOTs to her credit. These apart, she has also won the LIMRA International Quality Award for her excellent record of maintaining in-force business. Having achieved so much, Divya Tusnial not only feels thankful to her clients, but also to Tata AIA Life for helping her achieve it all. Embracing the responsibility that comes with being a winner, she has been helping the organisation grow in return, in her capacity as the MDRT brand ambassador for Tata AIA Life Insurance. 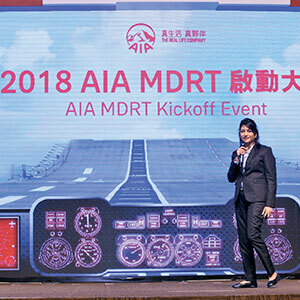 Here too success has greeted her with the number of MDRT qualifiers from Tata AIA Life rising steadily over the last couple of years. 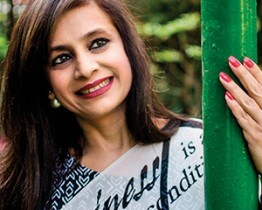 That apart, she also works towards promoting MDRTs worldwide through the Membership Communications Committee and by mentoring MDRT aspirants through her very own initiative ‘Hello Divya’, where she holds classes for MDRT aspirants in Kolkata. Away from the world of insurance, Tusnial has been extending her caring nature to society too, through various social welfare initiatives, especially in Gokul, a small village in the Mathura district of Uttar Pradesh. These initiatives include tree-planting (to help with afforestation); setting up a playground for underprivileged children, with basic amenities; and sponsoring the marriage of four female orphans and supporting them in setting up their homes. 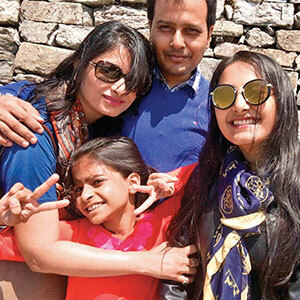 As for future plans, despite having reached the pinnacle of success, Divya Tusnial has no plans to give up. She believes in setting high performance benchmarks and wants to continue to do well in both her personal and professional lives—because for her, being the best is not as important as doing one’s best.